Construction of the Isle of Arran Distillers second distillery on the south of the island is on track to be completed and open to the public by spring 2019. The most recent milestone at the Lagg Distillery is the completion of the steelworks. With the structure now in place, the Distillery has begun to take on its distinctive shape, overlooking the south coast of Arran and the Firth of Clyde. The new distillery has been positioned next to fields of barley that provide a portion of the malt currently used in distillation at Lochranza. Come the turn of the year the copper pot stills will be installed, shortly followed by the first production run with a heavily-peated (50ppm) spirit that will become in time the flagship Lagg Distillery Single Malt Scotch whisky. Seven hundred of these casks were first made available to purchase in February and, so far, have proved a very attractive offering for a variety of individuals from all over the world. As well as being an opportunity to be part of single malt history on the Isle of Arran, every cask owner will become a member of the exclusive Lagg Cask Society. Membership guarantees a bottle from the very first cask to be filled at Lagg which is reserved exclusively for the Society. In addition, each member will have their name displayed on the Lagg ‘Wall of Fame’ and receive an invite to the Lagg Cask Society Members Day for a first-look of the distillery and visitor centre before its official opening. Once the casks have been laid down they will remain at the distillery for a minimum of ten years of maturation under the careful eye of Graham Omand, who has recently been appointed the distillery manager of the Lagg Distillery. Graham is the nephew of the Isle of Arran Distillers master distiller James MacTaggart. He has been working under his uncle’s guidance at the Lochranza Distillery for over eight years. Click here to view a short video of Graham and James discussing the new Lagg Distillery, as well as everything Lagg Cask Society. 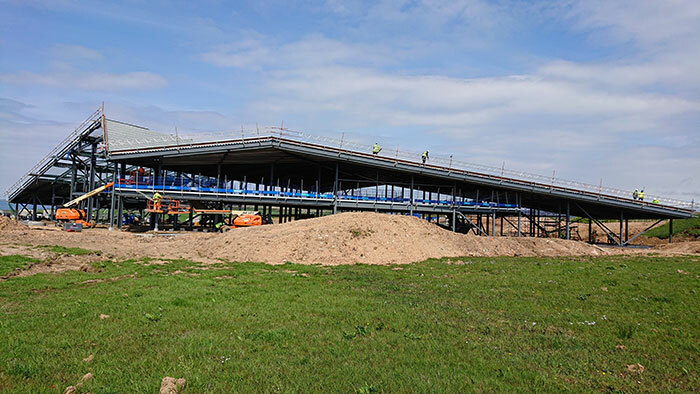 Speaking about the progress, Euan Mitchell, Managing Director of Isle of Arran Distillers, said: “It is fantastic to see the vision turning into a reality. With just under a year to go until we plan to open the Lagg Distillery, we’re delighted to confirm that everything is on target to be completed by spring next year. We’re assembling a team, headed up by Graham, which will play an integral role in growing the business and producing rich, earthy and high-quality peated spirit. When fully operational in 2019 the Lagg Distillery will increase Isle of Arran’s production capacity to 2 million litres. 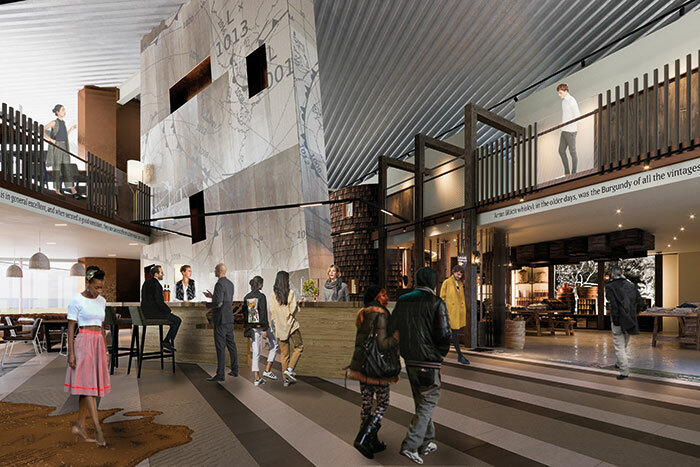 Further, the total visitor numbers to both distillery sites are expected to exceed 200,000 by 2020.